What do figures tell us? Early spring is now the time to take the market’s pulse before the half-year point. According to Artprice, Picasso is already 2018’s best-selling artist, totalling $237 M – quite a shocker. 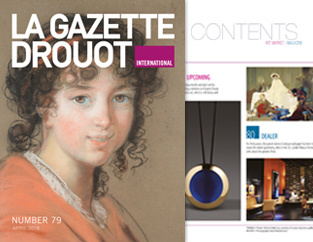 This is also the time to look over the past year, with traditional reports on the global art market being published. 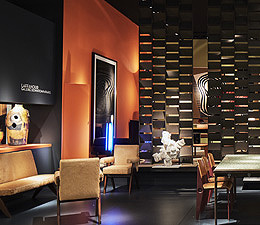 Until now, professionals relied on the study by Clare McAndrew and then Rachel Pownall, published for TEFAF Maastricht. But in 2018, it was done away with entirely, replaced by studies with a narrower focus, which only heightened the suspense over the report commissioned by Art Basel in Hong Kong, the only one that now gives a comprehensive overview. According to that report, 2017 sales totalled nearly $64 M, i.e. a 12 % rise, something to reassure the worriers with. But bear in mind that the increase impacts players differently and the figures are not always optimistic. For example, attendance at gallery exhibitions has sharply fallen as more people visit fairs. However, the good news about auction houses is that outside London, the highest price went to Raden Saleh’s "Chasse aux taureaux", which fetched $11 M out in Vannes last January. Just goes to show that our precious statistics (here by Artprice) are not always predictable. The opening of the latest TEFAF Maastricht drew mixed reviews. This year, the fair’s organisers stretched it out over two days. With 4,000 to 5,000 people on Thursday 8 March – a deliberately small quota –, the opening did not attract a chic, feverish crowd of people elbowing each other out of the way in their rush to the stands. Instead, the event was a quieter and relatively less crowded marathon, making it easier to see the works. However, "It was less intense,” said one regular. “In the effort to water down the crowd, some guests who were relegated to the second opening on Friday felt slighted." A firstcome, first-served basis... Is it these restrictions or lower attendance in recent years that slightly dipped the number of visitors to 68,000, some 3,000 fewer than in 2017? In any case, the figure remains very high. The fair’s organisers, Nanne Dekking and Patrick Van Maris, are clearly angling for big fish with healthy bank accounts, with a refurbished MECC, improved hotels and updated airport facilities funded by the city and region. March was a busy month and April will be eclectic, opening a window on Russia (with a Kovch by Fabergé and a pair of imposing Imperial portraits) and 20th-century art, which is still doing well. Ancient, modern and contemporary painting, furniture, non-Western art, even natural history... No field will escape! The artists' jewellery market has been on the up for the last ten years, with help from several specialist galleries. These miniature works of art are found in specific auctions and a recent online sales site. Behind them lie highly active specialist galleries, some dedicated solely to vintage pieces, others to contemporary creations. For thirty years, the grande dame of antique wallpaper has been tracking down the oldest specimens, often in the US. A passion that germinated at Drouot in the 1980s. Carolle Thibaut-Pomerantz talks about her about her career and her greatest finds. César’s retrospective at the Centre Pompidou has just ended; he is soon to be celebrated in New York as well, at the Luxembourg & Dayan gallery. We look at the career and market of the French sculptor, who died in 1998. Compression or expansion?